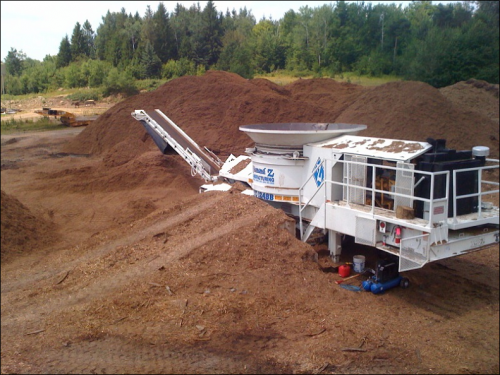 A&L Wood regrinds its bark mulch making a very high quality bark mulch that can be used in a variety of applications from erosion control to landscaping. We provide prompt delivery to your construction site or landscaping job. 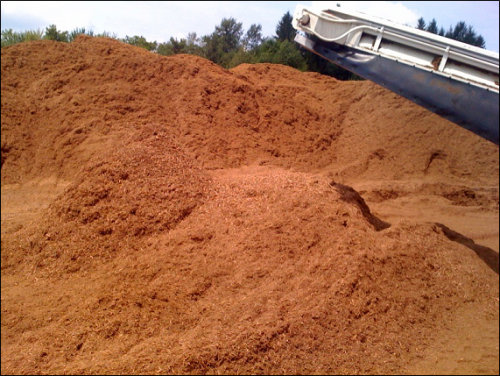 We provide mulch for any size order- no minimums. 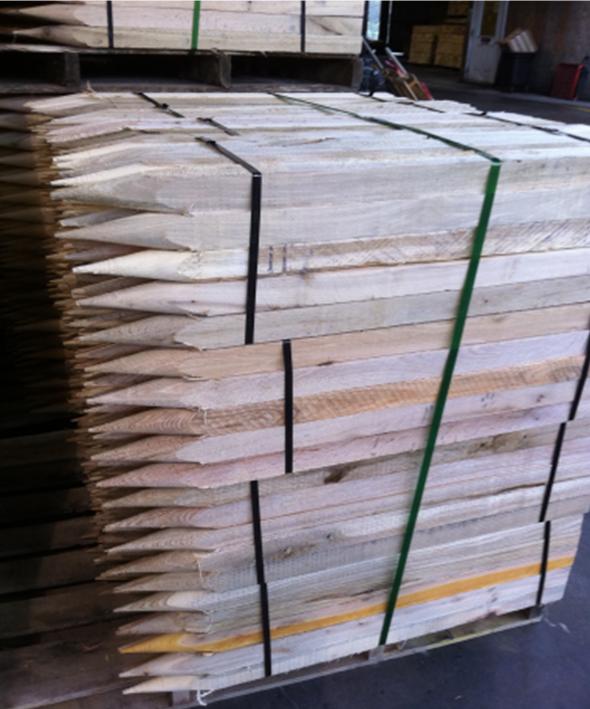 Our hardwood stakes are used throughout the silt sox industry for erosion control on drill sites and pipelines. Our grade stakes are also used for surveyors, etc. 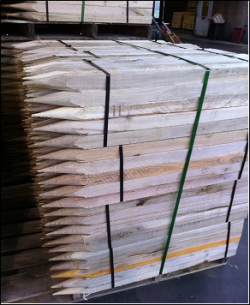 These stakes are pencil-pointed for easy and straight driving, and are full cut 2+2” to comply with PA environmental laws, they are available in many different lengths.